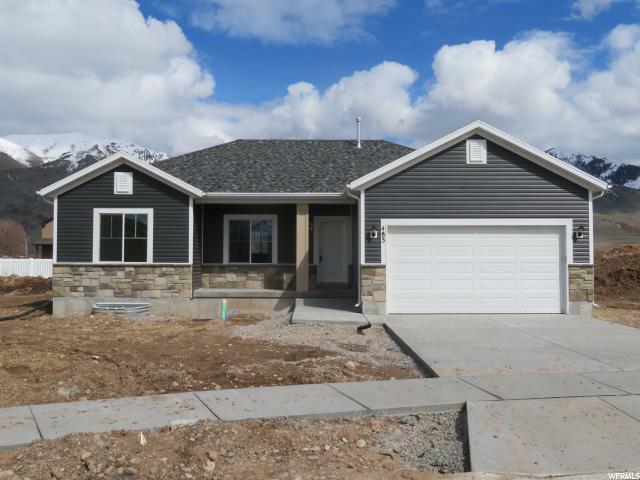 All Hyrum homes currently listed for sale in Hyrum as of 04/20/2019 are shown below. You can change the search criteria at any time by pressing the 'Change Search' button below. 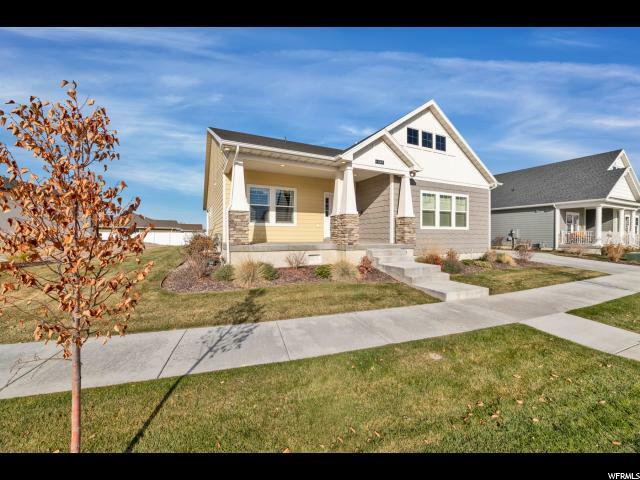 If you have any questions or you would like more information about any Hyrum homes for sale or other Hyrum real estate, please contact us and one of our knowledgeable Hyrum REALTORS® would be pleased to assist you. "Make this home yours! 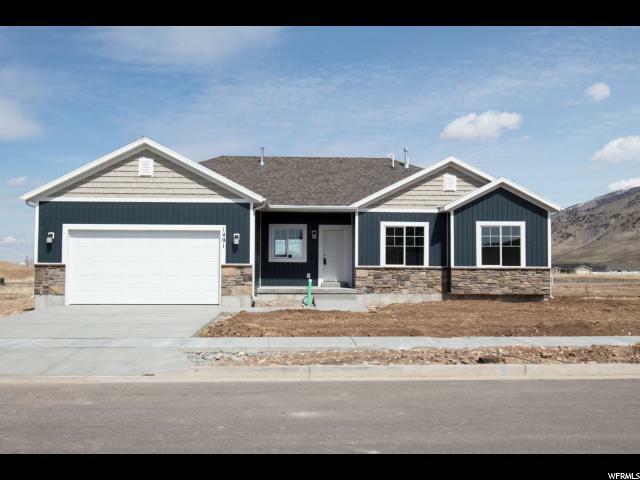 Truly a great value, 2016 Parade of Homes. Over 4000 sq ft, Finished Basement! 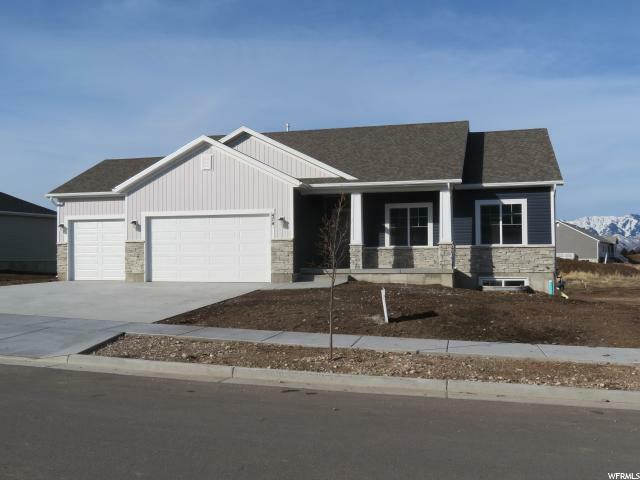 5 bed, 3bath, 3 car heated and cooled garage, You will love this bright and spacious home! Sweeping views of the Wellsville Mountain range. Main floor living. The kitchen is open with a large dining area and a butler's pantry. The master bedroom/ bath feature his and hers sinks, a soaker tub, a tile shower, and a large walk in closet. Custom light fixtures, granite and quartz countertops, shiplap throughout, beautiful laminate wood flooring, a four zone sound system controlled by an I- pad mini, security cameras, LED lighting, 9 foot ceilings with a 10 foot trey, motorized window shades, deck for BBQs, lots of storage,50 Gal Water Tank, LP Smart Siding, and a moisture protection ZIP System. This home has everything you will need and want! ASK FOR DETAILS "
"A unique home, like new, full of quality upgrades and stunning appliances awaits your arrival. 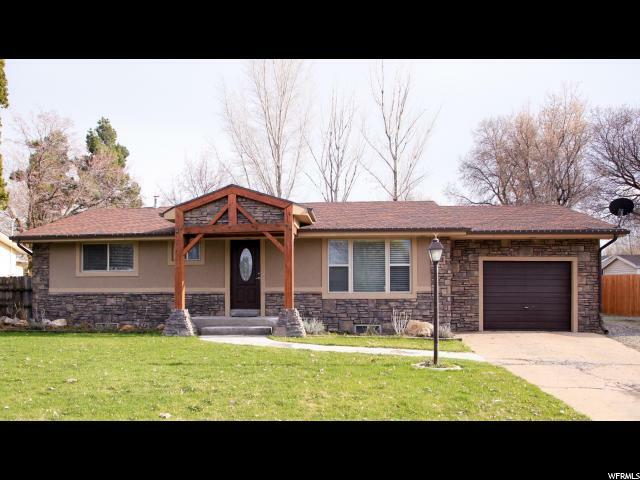 This home has a terraced yard with a beautiful view of the valley and majestic Wellsville mountains. This 6 bedroom/1full, 2- 3/4 baths home can also have the basement used as a qualified Mother-in-law apartment or 3 bed apartment. One more unique feature is the shop/garage and RV pad that is located at the bottom of the lot. RV has sewer, water, gas, and TV hook-ups. Store your boat, other cars, recreational machines, and still have shop space and storage. The Hyrum State Park reservoir and beaches are four blocks away. We have a list of all the improvements and new items added to this home. Agents with qualified buyers, please request a copy from the Listing Agent. Square footage figures are from Public Records; buyers to verify all figures." 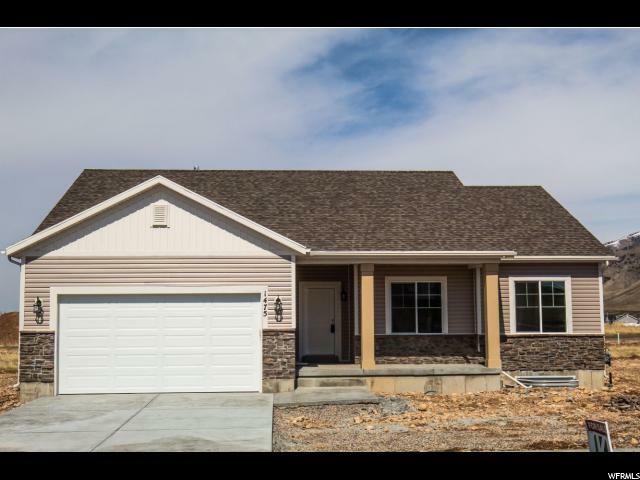 "New home w/ Large covered trex deck. Walk out basement can easily be finished. Extra deep 3rd car garage on over .33 acres. 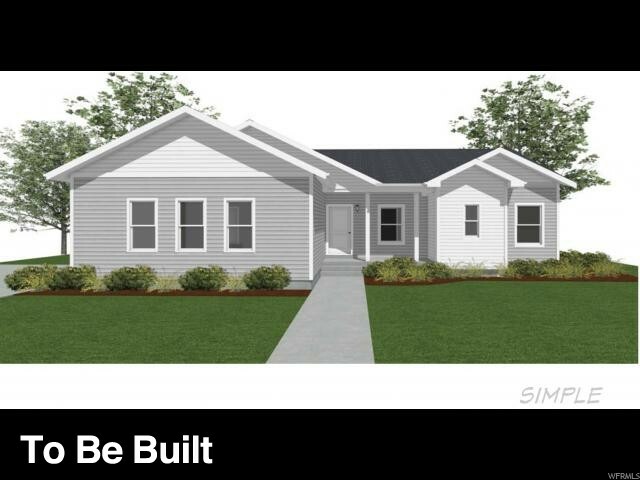 Popular 3 bedroom plan w/ office on main floor. Nest thermostat and 96% efficient natural gas heat. A/C and ceiling fans will keep you nice and cool in the summer. 9 ft. tall walls on main floor create that volume feel throughout the home. Huge pantry and Granite counter tops w/ subway tile back splash. Scheduled completion time is early May 2019. " "Wonderful home in a family friendly neighborhood. This home features 6 bedrooms, 3 1/2 baths, great family room, a sweet master suite, huge family/dining room, an office, a formal living room, tons of space for storage, 2 A/C units, beautiful mature trees, and automated sprinkling system. All in a great secluded neighborhood. MLS #1521812 / Tax ID 01-015-0037 (Land) is also available for sell right next door for a bigger yard. " "New home in with covered deck. Walk out basement into a large yard. Beautiful painted cabinets and laminate flooring. Large island w/ pendant lights. Subway tile backsplash adds style to this kitchen. Amazing views and pressurized irrigation is available on this property. 3 car garage is a huge plus for all the tools or toys. $2K Landscaping rebate included. " "Kartchner homes does it again! Linden home w/ extended 3rd car garage. Walk out/ daylight basement w/ Trex deck and stairs. Large lot and pressurized irrigation available. Massive storage in this kitchen w/ island and Quartz counter tops. Amazing views of the Wellsville mountains from the Deck and patio. $2,000 Landscaping rebate is available with this property. Two year warranty included. Completion of home is scheduled for end of May 2019. " "This picturesque property is not a bad place to land! It is the sort of place that will inspire a lifestyle chock full of late summer sunsets, mid winter wonderlands and a lifetime of front porch dreams. This home is as charming as it is tidy. The full window sun-room is the perfect perch that allows you to soak up every ounce of views. Or step down to the hot tub and watch the snow fall while enjoying the privacy in your own paradise. The huge master suite will have you wanting to linger longer in bed. Large walk in closet has plenty of room for all your things! The great room is gigantic with an inviting fireplace and opens up to the kitchen - perfect for entertaining. New carpet, new laminate flooring, new paint in the basement, new fridge, even the washer and dryer stay. This home is ready to just move right in. Buyer to verify all information." 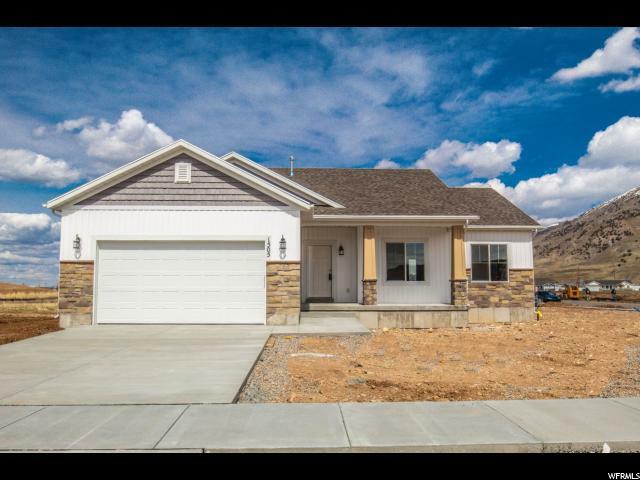 "Over looks a future park and fantastic views of the Wellsville mountains! Open floor plan, 1670 sq feet main floor living, with a large 1765 sq foot unfinished basement to grow in! Many options available to meet your budget. side load garage, partial landscaping included. Call for details. " "New Huntington home w/ extended 3rd car garage. 9' ceiling on main floor and huge great room. Kitchen has Quartz counter tops and painted cabinets w/ subway tile back splash. All LED lights and Nest thermostat to make the home efficient. Tons of insulation for all weather conditions. Huge master suite w/ separate tub and shower / over sized vanity and large walk in closet. Completion is scheduled for June 2019. " 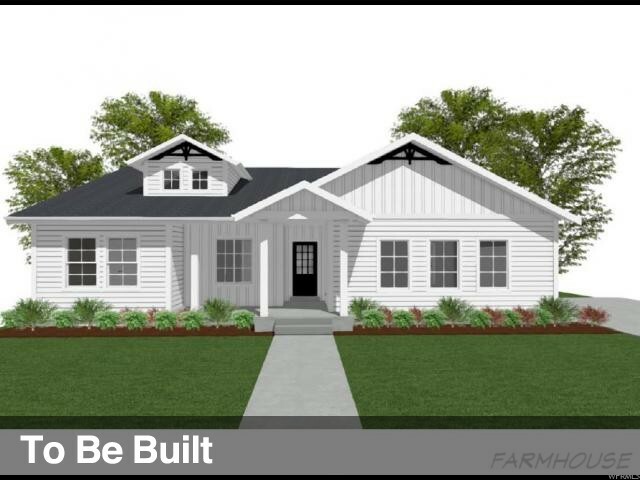 "Build your dream home in 2019! This is a great value. Many floor plans and lots to choose from. Open space and great views. Call for details. " 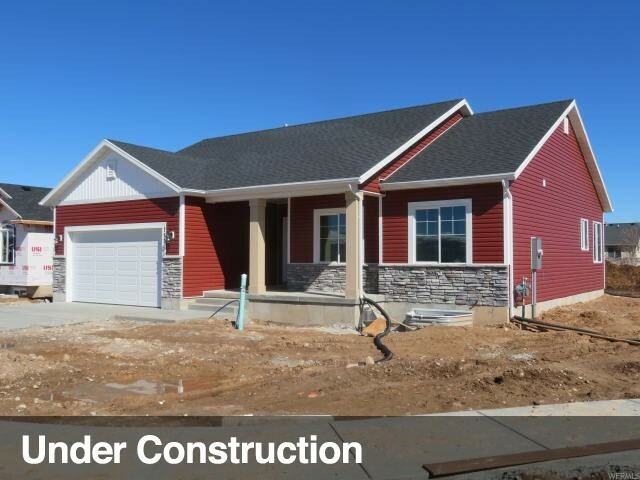 "Quality new construction in a newer neighborhood. This stately home has an open floor plan with beautiful cabinetry throughout the home. It features an impressive master bedroom with a cultured marble tub and shower surround. The great room has a gas fireplace to stay warm on the cold nights. The back porch is covered and the backyard is partially fenced. The home is near completion. 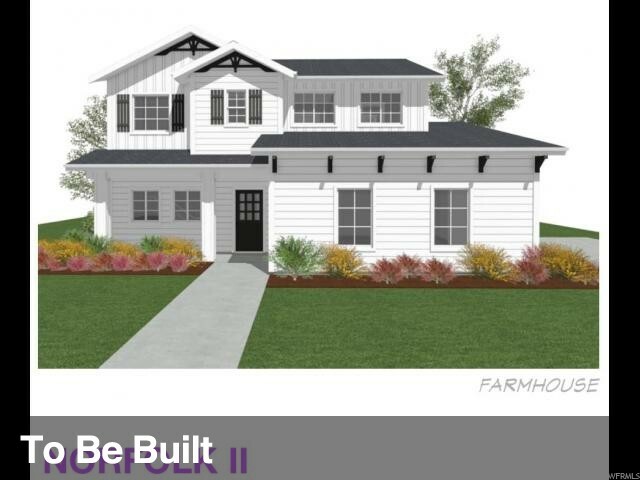 The contractor will be landscaping the front yard. The home is vacant and easy to see. Schedule an appointment today!" 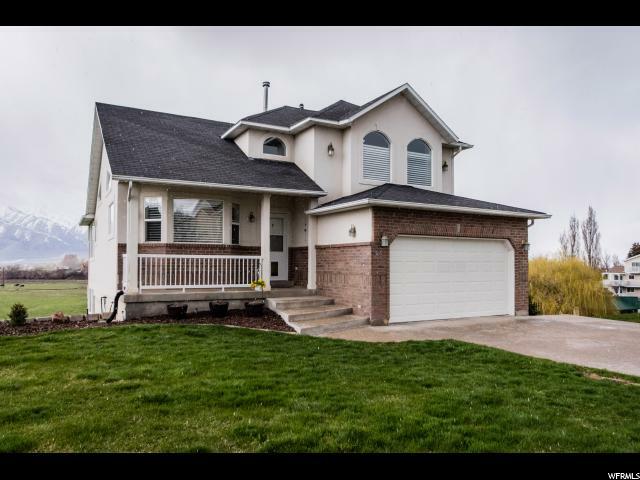 "Conveniently located, beautiful neighborhood, spacious two story, 2700 sq feet, 3 bed, 2.5 bath, 2 car garage, option to finish the basement, over looks a beautiful cache valley with a terrific view of the Wellsville mountain range. Many options available to meet your budget. side load garage, partial landscaping included. Call for details. Pictures are of a completed home with some upgrades. " "Ready for a new home? This home has a spacious open floor plan. One level living, close to future park and walking trails. Beautiful views of the Wellsville mountains. Many options to choose from. Ask about landscaping promotion! Call for details. " "USE OUR FLOOR PLAN OR BRING US YOUR OWN!! 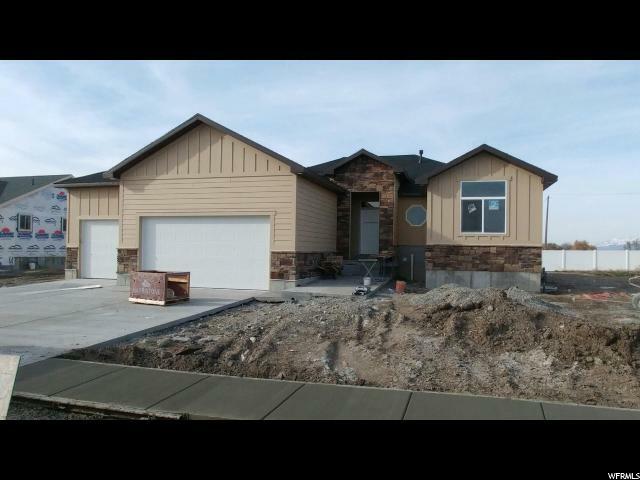 LET US BUILD THE HOME OF YOUR DREAMS MINUTES FROM HYRUM DAM, SHOPPING CENTERS, ROADS TOWARDS BRIGHAM OR LOGAN. BUYER AND BUYER'S AGENT TO VERIFY ALL. " "New Dayton plan. Huge kitchen w/ tons of storage. Granite counter tops and subway tile back splash. Island in Kitchen looking over the great room area. Master suite has separate tub and shower. Nice usable lot and close to community amenities. Super efficient heating and cooling w/ upgraded insulation in walls and ceiling. Garage is also insulted. $2k Landscaping rebate included. " "New home w/ great location! White painted cabinets w/ granite counter tops. 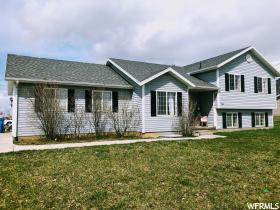 Large .25 acre lot w/ a south facing driveway to make snow removal easier. Tons of potential in the unfinished basement. High 9' walls on main floor and vaulted in living room. Mud room to kick off your shows and coat before bringing it into the home. 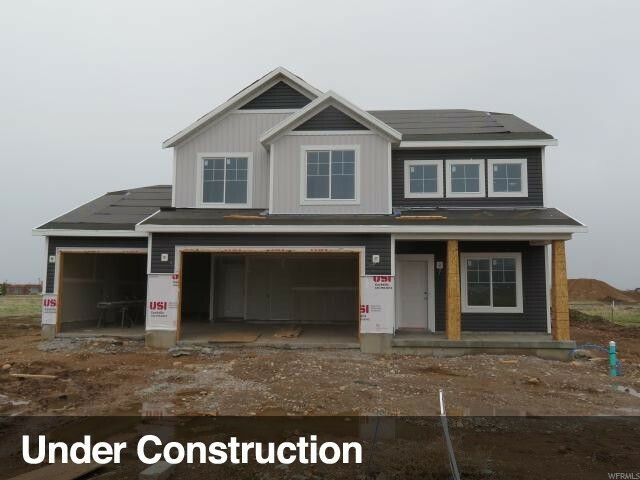 Completion is scheduled for April 2019." 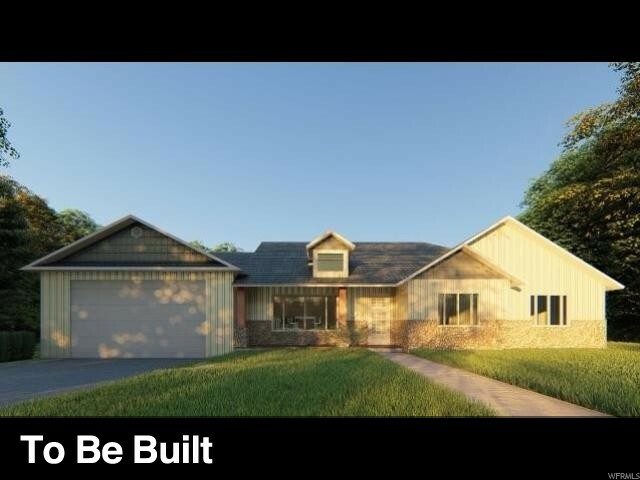 "New Home in Elk Mountain w/ Community swimming pool coming soon! Gorgeous home w/ the latest is style and features. Super efficient lay out and large garage for toys and tools. Large Kitchen w/ Granite tops, island and subway tile back splash. Efficient homes include tons of insulation and LED lights bulbs. $2K Landscaping rebate included. " "New home in Elk Mountain. Close to Schools and shopping. Charlotte Floor plan w/ large kitchen. Granite tops in kitchen w/ subway tile back splash accent. Stainless steel appliances include Gas stove, dishwasher, and Microwave. Durable LVT flooring in Kitchen and dining room w/ Ceramic tile in bathrooms. Mud bench at garage entrance to kick off those wet winter clothes and shoes. Easy to show on Supra Box and Vacant. Just send me a text or call before. $2k Landscaping rebate is included. " "This beautiful 5 bedroom 3 bath home won't last long. Features 3 family/Flex rooms which have been used as a play room, theater room and family room. Great size Master Bedroom with great views of the Mountains, jetted tubs in the master bathroom and guest bathroom. 2 car garage on a good sized corner lot with lots of yard. In a great area. Square footage come from county records and buyer should verify all information. AGENTS please read agent remarks." "GREAT Value! This home has a spacious open floor plan. 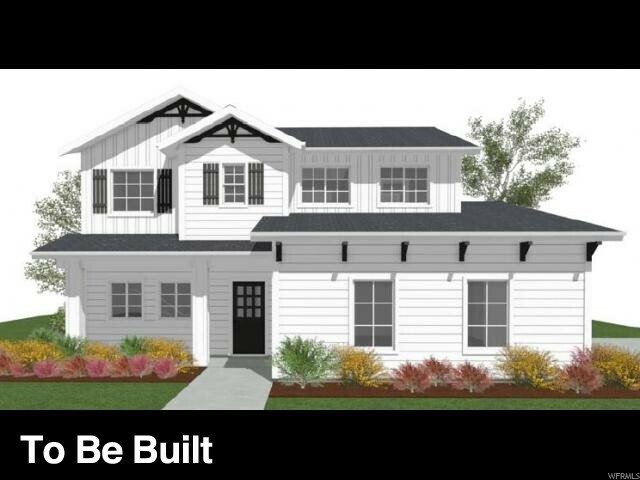 One level living, close to future park, and walking trails. Beautiful views of the Wellsville mountains. 3 bed, 2 bath, 2 car garage. Ask about landscaping promotion! Many options to choose from. Call for details." 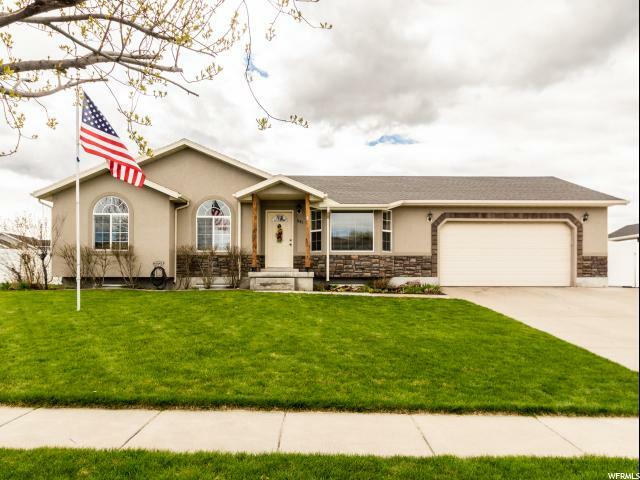 "You'll love this beautiful immaculately-maintained home in a quiet neighborhood with views of the Bear River Range. Plenty of large living spaces, fully-fenced yard, RV parking, vaulted ceilings, finished 16 x 16 workshop with electricity, utility shed, great garden space, and more." 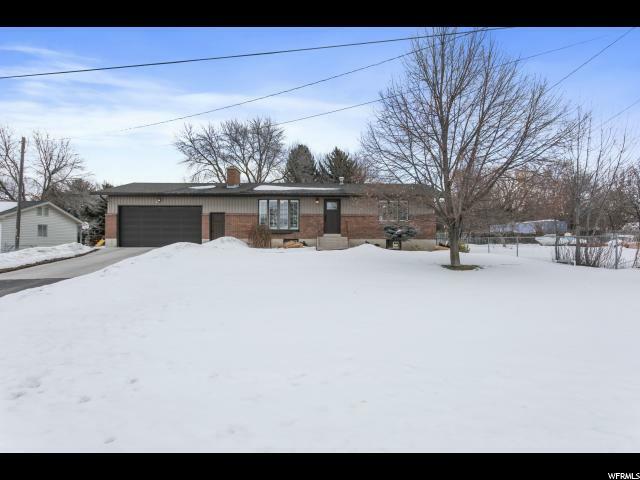 "Updated, loved and cared for, move in ready home in Hyrum. Home is 2464 sq. ft., 2 car garage, 4 bdrm., 2 bath, lg. kitchen and dining area, living rm., family rm. w/wood burning stove, lg. laundry and lots of storage. Home is well landscaped w/fenced and shaded back yard with lg. shed. Square footage figures are provided as a courtesy estimate only. Buyer is advised to obtain an independent measurement." "City approved HORSE PROPERTY! Beautiful Rambler with updates inside and out! Need some space? This property has an extra deep, fully-fenced backyard with mature trees and a fire pit. Plenty of room to step outside and enjoy life in your own backyard! There is a small workshop attached to the back of the home for those who like to tinker on projects. Don't wait! 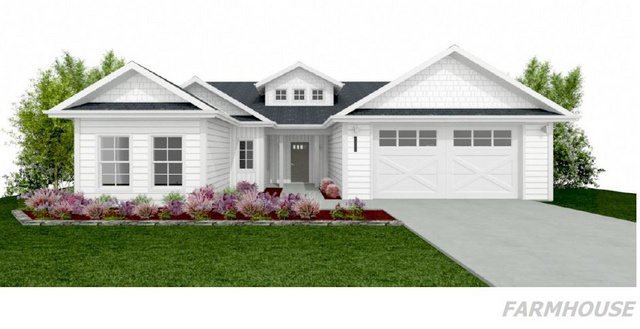 This is a great home at a great price! " "New home! Meadowbrook floor plan. Large lot in Auburn Hills. Large great room w/ Ceiling fan. Granite counter tops in kitchen w/ Subway tile back splash. Volume 9' ceilings throughout and still vaulted in the Kitchen, dining and family rooms." Mountain America Credit Union, P.O. Box 9001, West Jordan, Utah, 84084,1-800-748-4302. Unauthorized account access or use is not permitted and may constitute a crime punishable by law. Mountain America Federal Credit Union does business as Mountain America Credit Union. © Mountain America Credit Union. . All rights reserved. Mountain America Credit Union, P.O. Box 9001, West Jordan, Utah, 84084,1-800-748-4302. Unauthorized account access or use is not permitted and may constitute a crime punishable by law. Mountain America Federal Credit Union does business as Mountain America Credit Union. © Mountain America Credit Union. . All rights reserved. Be advised that Mountain America is not responsible for the product, service, or overall website content available at the linked site. Mountain America's privacy policies do not apply to linked sites. available now. View ALL Active Listings. Receive new listing alerts and price updates. Stay ahead of the market! Your information will be kept secure and private, you can opt-out at any time and you will NOT receive unwanted email.